Although Eurogrand may not be a household name in the UK, players can rest assured it’s actually part of the William Hill group. 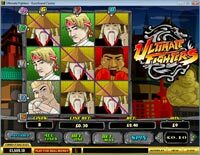 Eurogrand offers well over 100 casino games with an emphasis on themed slots although all the classic casino games are featured as well as an impressive range of video slots. One of the games which stands out is a Blackjack variant called Blackjack Switch which allows you to play 2 hands at once - the twist being you can switch the cards between each hand to optimise your starting hands. Eurogrand is one of the casinos which can offer deep pocketed players an uncommonly large bonus. Eurogrand’s headline bonus is their ’high roller’ bonus of £1k however it requires player deposit a minimum of £2k and both the bonus and the deposit must be wagered 25x (this works out to 75x the bonus). Usual restrictions apply, only wagers on slots count 100% and bets on other games count anywhere from 5-25%. For those of us who aren’t made of money, Eurogrand offers a regular cash match bonus up to £100. The terms are the same at in that the bonus and the deposit must be wagered 25x however because of the smaller deposit ratio the overall wagering conditions work out to be slightly better at 50x the bonus. 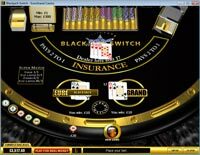 Eurogrand is powered by Playtech software and features basically every classic casino table, card game you can think of and many themed slots variants. Eurogrand does have quite a few niche games such as Mahjong (not the Mahjong solitaire types) and Pachinko. A unique game at Eurogrand is Blackjack Switch which allows you to play 2 hands at once - the twist being you can switch the cards between each hand to optimise your starting hand. However a dealer 22 results in a push and blackjacks pay even money. The house edge for this variant is a super low 0.17%. Eurogrand offers additional bonuses when you deposit with certain methods. 15% Extra when depositing with Neteller, Wire Transfer and Bankdraft. 10% Extra when depositing with Moneybookers, FirePay, Citadel, EcoCard, PaysafeCard, UseMyBank, Maestro/Switch Card, Solo Card and WebMoney. Withdrawals take around 5-6 working days which is a longer than usual but other than that it’s a simple system to use. Eurogrand offers 24/7 support by phone, email and live chat should you need it. Loyal players can even be invited to join their VIP club where they are provided a personal account manager and are treated out to special events.